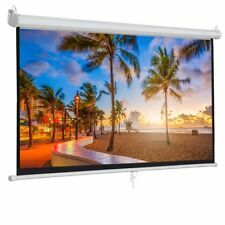 This manual projection screen is 100” diagonal at a 16:9 widescreen format.It has a built-in L bracket for easy ceiling or wall mounting. The gain is 1.1, viewing angle is 160 degrees, prevent hot spotting and provide outstanding image reproduction and clarity from all angles. 16 x 12 Magnetic Dry Erase Refrigerator Calendar Board Monthly Planner Black Set. 17 x 11 Magnetic Dry Erase Refrigerator Calendar Board Monthly Organizer Planner. 10x Diamond Crystal Door Dresser Knobs Drawer Furniture Pull Handle Cabinet Lots. 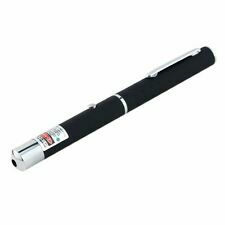 Board Type: Dry Erase; Board Width: 48"; Board Height: 36". Board Height: 36. Board Width: 48. Autool 87" x 49" tripod portable projector screen! Portable & Steady Tripod installation design, convenient for setting up. Operation Type: Tripod. Adjustable screen height to accommodate any ceiling or projector height. REMINDER: The board's surface is covered by protective plastic film, please tear off the film from the corners before use 1 whiteboard, 1 magnetic dry eraser, 2 magnetic markers, 3 magnets included. Inner material Polystyrene features a lightweight but sturdy design that is guaranteed not to warp Painted steel magnetic dry erase single-sided surface is highly durable, erases easily, resists staining and ghosting. 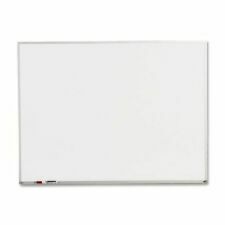 Simply write your message on the smooth white surface and wipe off when needed Flexible mounting movable hook allows board to fit well in just about in any space, convenience to use The small-sized magnetic whiteboard is perfect for kids, graffiti at home or taking notes and writing memos. 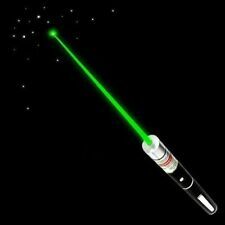 Best for light usage. Quick and simple installation. 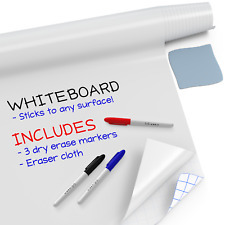 Perfect for office or school use - works just like a regular whiteboard! The white board vinyl is easily removable, making it convenient to change things up every now and then. Dual wall & ceiling installation design. 1 x 100" 4:3 Motorized Projector Screen. Operation Type: Automatic with Switch or Remote. High contrast 1.3 gain screen optimizes picture quality. Screen surface could wipe with mild soap or water. US Seller! Great Price! Premium Quality! Fast Shipping! 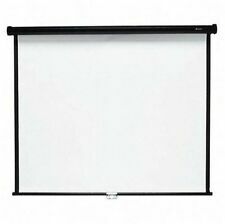 Onebigoutlet 87" x 49" tripod portable projector screen! Portable & Steady Tripod installation design, convenient for setting up. Operation Type: Tripod. Adjustable screen height to accommodate any ceiling or projector height. Per Vutec, the manufacturer OVERHEAD PROJECTOR. If the OHP has only one lamp, and that lamp burns out, the lamp has to cool down before it illuminates again. • Fold Down Arm provides easy set up and take down. Smooth & durable magnetic writing surface, easily drywipe with all dry-erase markers. Easily wipe - After the writing dry, erase the writing with a blackboard erase. 16 x 12 Magnetic Dry Erase Refrigerator Calendar Board Monthly Planner Black Set. 2X 5M 50 LED Battery Powered RGB Copper Wire Fairy String Light Xmas Waterproof. 17 x 12 Magnetic Dry Erase White Board For Refrigerator & Kitchen Fridge Planner. NOTE: The 4 Magnetic Dry-Erase Markers can’t stick on calendar, but they can stick on refrigerator. perfect for planning, education, presentation and organization. • Bonus: Dry Erase Marker. • 8.5"x 11" (21.6 x 27.9cm). Trending at $6.49eBay determines this price through a machine learned model of the product's sale prices within the last 90 days. High quality matte white surface provides 80" x 45" o f viewing area with 16:9 aspect ratio. It features high quality matte white viewing surface, which diffuses projected light evenly. 1 x 92" 16:9 Motorized Projector Screen. Bring it with you to your next exceptional occasion. VOICE AMPLIFIER MODE: Amplifies your voice into the microphone. Lightweight 1.44 lbs and alarm mode battery operated. 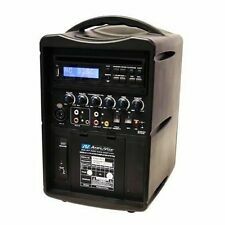 WORKED IN SOUNDS: It has been pre-introduced with a wide range of sounds that will add fervor to your occasion. And it is easy to clean with a dry eraser. Magnet accessories are also included for added convenience. 1 x Single Magnetic Whiteboard with Shelf. 2 x Magnetic Grains. Easy to clean with a dry eraser. Peel & Stick 24 X 36 Dry Erase Calendar: The white board dry-erase monthly calendar is clean, simple and very functional. Get organized in a classic fashion with this flawless white calendar wall decal. 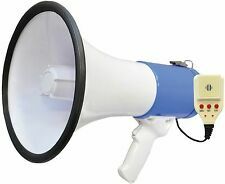 Professional Megaphone/Bullhorn with Siren SPECIAL OFFER! The Pyle PMP50 Megaphone PA Speaker features high-powered audio projection. With each iteration of flagship megaphones, Pyle has improved the battery life, power, and ergonomics -- all housed form-fitting handheld design. An impressive 50 watt power output allows you to control the crowds up to 1,200 yards away! Additional megaphone features include a wired handheld microphone for voice and talk projection, built-in continuous siren alarm mode, adjustable volume control, battery operated design requiring (8) x ‘C’ batteries (not included) -- along with power supply connector to power the unit via an external plug-in power adapter. Control the crowd and enjoy versatile audio projection ability with the Pyle Megaphone PA Speaker System. Precision Transparency Film 10-421, Clear,5 Mil, 8.5"x11", 100 Sheets NEW SEALED fir use in plain paper copiers &laser printers clear-5 mil. 16"x12" Refridge Month Calendar Black Dry Erase Planner Board w/ Red Markers 2 Erases. Firework 120LED Copper Wire Strip String Light For Wedding Decor LED Fairy Light. PLAN SMARTLY: Jot Down Every Upcoming Event & Keep It Within Sight, On Your Kitchen Fridge! Safe for use on all chalkboard surfaces. Durable wood handle. Quality: Excellent Quality. High quality matte white surface provides 80" x 60" of viewing area with 4:3 aspect ratio. It features high quality matte white viewing surface, which diffuses projected light evenly. 1 x 100" 4:3 Motorized Projector Screen. 72" diagonal 16:9 screen format offers 63" x 35" viewing area, wall or ceiling installation design. Self-locked system provides variable height settings. Matte white viewing surface diffuses projected light uniformly. Click for Full Description. 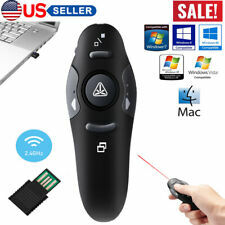 Hand Held On/Off Microphone Button. (1)Hand Held Microphone. Extension Cords. Allen, Hex & Trox Key Sets. AA NiCd Button Top Cells. Reaching & Pick Up Tools. Light Bulbs. This item carries a 1 year warranty on factory defects, but does not cover abuse or misuse of the product. Notepad Design Sits Neatly On Your Desktop For Easy Access. Jot Down A To-Do List And Easily Refer Back To It While You Work. 1 x 92" 16:9 Motorized Projector Screen. Dual wall & ceiling installation design. Screen surface could wipe with mild soap or water. High contrast 1.3 gain screen optimizes picture quality. Operation Type: Automatic with Switch or Remote. 1 x 100" 4:3 Motorized Projector Screen. Prewired power cord with integrated switch to regulate drop/rise settings. Dual wall & ceiling installation design. Black-backed screen material eliminates light penetration. 16"x12" Refridge Month Calendar Black Dry Erase Planner Board w/ Red Markers 2 Erases. PLAN SMARTLY: Jot Down Every Upcoming Event & Keep It Within Sight, On Your Kitchen Fridge! 3/6 Solar Wine Bottle Lights 10 LED Cork Shaped Fairy String Light Garden Decor. POWERFUL - This compact bullhorn produces 30 watts of sound that have the potential to cover 800 yards! 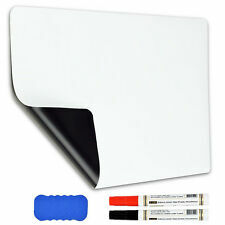 Large Whiteboard Sticker 6ft x 18in Dry Erase Marker - White Board Wall. Condition is New. Shipped with USPS First Class Package. BAZIC 8.5 X 11" Small Dry Erase White Board With Marker Note Study Class Student. Condition is New. Shipped with USPS First Class Package. 3X LED Solar Cork Bottle Wire Copper String Light Party Xmas Wedding Warm White. PLAN SMARTLY: Jot Down Every Upcoming Event & Keep It Within Sight, On Your Kitchen Fridge! 1 Roll 12"x 20" Plastic Produce Clear Bag Grocery Kitchen Food Fruit On Roll. 17" x 12" Dry Erase Magnetic Refrigerator Calendar Blank White Board Reminder. Subject Matter : Weekly Dry Erase Calendar. Dry Erase Boards. Motion Sensor 16 LED Solar Power Garden Security Lamp Outdoor Waterproof Light. And it is easy to clean with a dry eraser. Magnet accessories are also included for added convenience. 1 x Single Magnetic Whiteboard. 1 x Whiteboard Pen. Easy to clean with a dry eraser. Also include a marker, an eraser and magnet accessories. Magnetic Dry Erase Board,marker whiteboard School Office Whiteboard / 48" X 36"